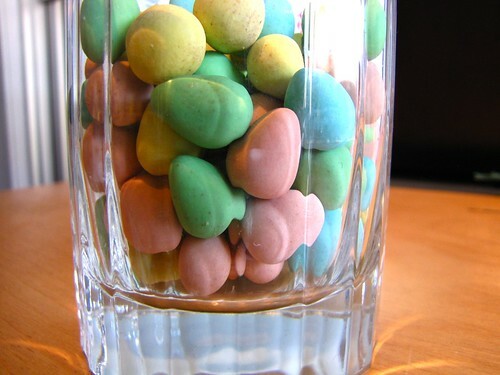 Cadbury Mini Eggs - a new look this year? More pigmented, and a pretty matcha green shell. The base of a glass bottle, about 200 years old. 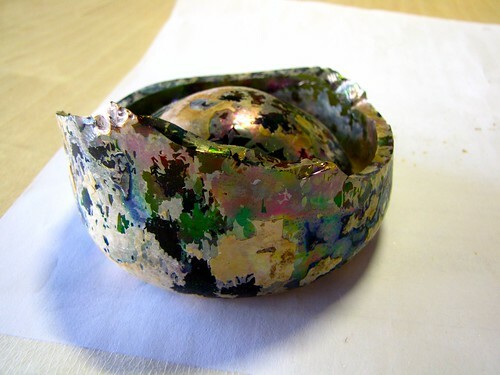 The exquisite iridescence is caused by leaching of silica layers once the glass has been re-exposed to moisture in the air. Or, at least that's my understanding of the process of devitrification. 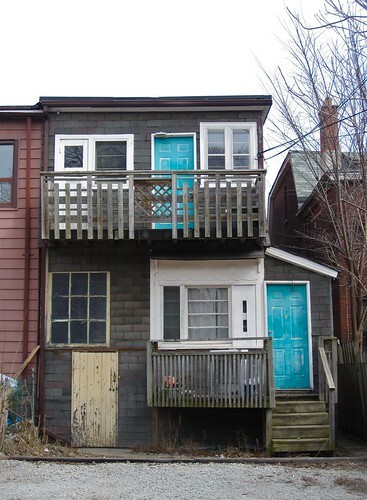 I've walked the length of this alley hundreds of times, but I never before noticed the double turquoise doors on this otherwise cheerless house. I put these royal blue tights on yesterday - no big deal, I got them over a year ago but had never worn them. To my surprise, everyone at work (including the men) complimented their vibrance. And then, when I was outside at lunch time, a woman driving past me pulled her car over to ask me where I bought the tights. I can hardly believe these things garnered so much attention. Oh, these traffic-stoppers are from Colour Lovers.